In collaboration with the Asian Institute of Technology (AIT), MMN is conducting a research and advocacy project exploring the policies and practices of the garment industry operating in industrial zones and Special Economic Zones in Burma/Myanmar, Thailand, and Cambodia. The project is investigating how these particular environments impact cross-border and internal women migrant workers’ working and living conditions, life choices, participation in collective action, and relationship with local communities. 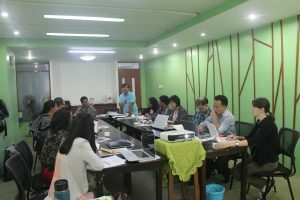 On 13 and 14 January 2018, MMN project partners and Secretariat members, AIT project personnel, and resources persons congregated at Sagawa Meeting Spaces in Yangon, Myanmar, for the Second Project Consultation Meeting. The objectives of the meeting were: (1) for project partners to share information on the progress of the research and reflect on key issues and challenges; (2) to jointly review and analyse preliminary findings from data collection activities; (3) to jointly discuss future data collection activities, including in-depth interviews, focus group discussions, and key informant interviews; (4) to jointly discuss advocacy targets and strategies; and (5) to jointly draft a work plan and review the budget for the remainder of the project. 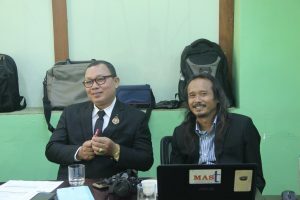 From November 2016 to February 2017, preliminary studies were conducted in each of the five study sites: Yangon, Mae Sot, Bangkok, Phnom Penh, and Bavet. 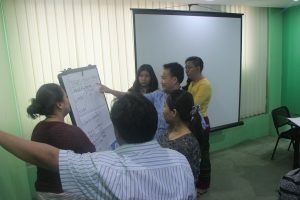 During these studies, local research teams and representatives of the MMN Secretariat and AIT jointly discussed the project’s core research questions, methodology, and benefits, and conducting preliminary interviews with key informants, including government officials and zone management committees, and garment factory workers to better understand the context of each area. 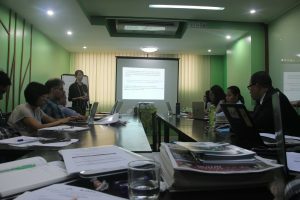 Based on a review of relevant literature, internal meeting discussions, and the preliminary studies, garment factory worker questionnaires were drafted and translated, and enumerator trainings were conducted with local research teams. With 200 questionnaires in the process of being completed with workers in each study site, translated, encoded and analysed, project partners, the MMN Secretariat, and AIT looked to the next phase of the project. Moving forward, MMN partners, Secretariat members, and AIT will work together to conduct in-depth interviews and focus group discussions with workers, carry out additional key informant interviews, draft a final report and country-specific policy briefs, present initial findings at a joint multi-stakeholder meeting, and launch the report and recommendations at provincial-level stakeholder meetings within the course of this year.